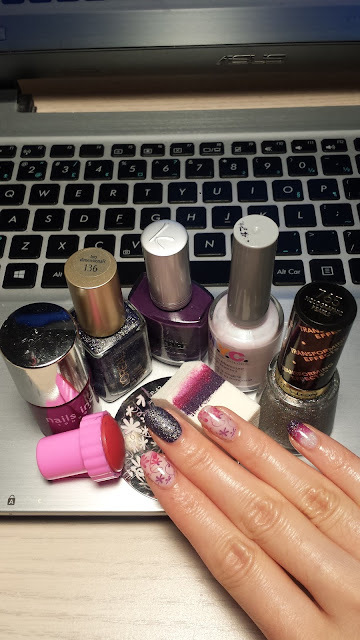 Here's a manicure of with lots going on - ombre sponging, two-tone stamping, textured polish, and glitter. It sounds like a complicated one but it was super easy do! With a base of pale pink, I stamped on some floral pattern on the 2nd and 4th finger. 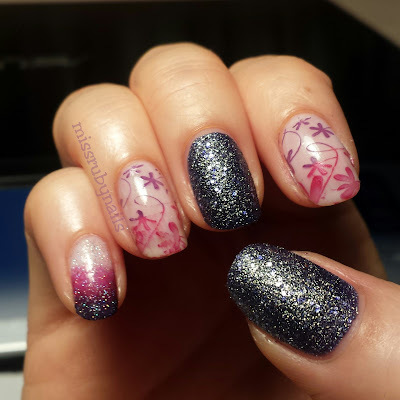 I used 2 colors on the stamping plates and love the result of the two-tone stamping! 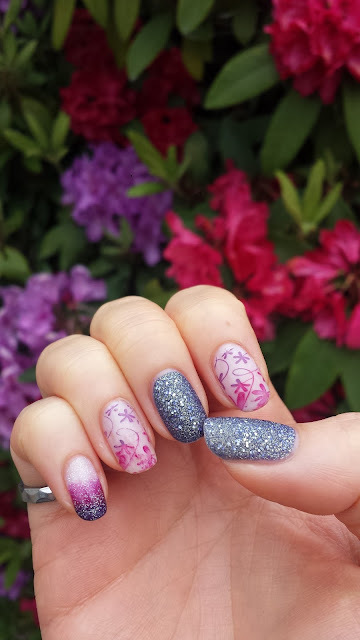 Click HERE for tips and tricks for nail stamping! On the thumb and the 3rd finger, I simply used a textured glitter polish in 2 coats. 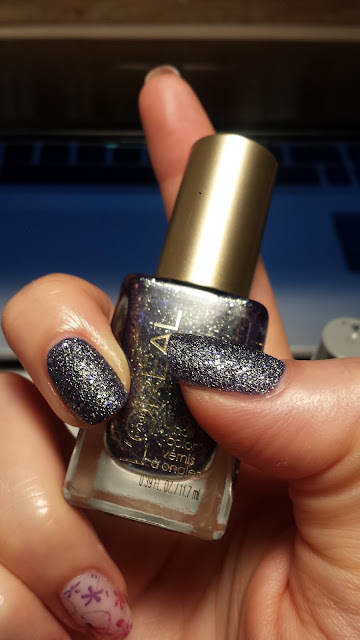 This gorgeous dark blue-ish purple polish is by L'oreal. I am loving these textured polish at the moment! On the pinky, I sponged on some pink and purlple polishes matching the rest of the color and then added a fairy dust fine glitter. It turned out very nice and it reminded me of a popsicle! I was super excited that I saw a bush on the street with the same tones of pink and purple matching this manicure! Dark Pink - Nails Inc.